as the maximum moments and deflections are calculated. Plots of both the shear and moment diagrams are produced, as well as a tabulation of the shear, moment, slope, and deflection for the joist span. There are two worksheets for selecting K-series and LH-series joists, and 2 worksheets which are the SJI Standard Load Tables. 1. For the “General Joist Analysis” worksheet, the following reference was used in the development of this program: “Modern Formulas for Statics and Dynamics, A Stress-and-Strain Approach” by Walter D. Pilkey and Pin Yu Chang, McGraw-Hill Book Company (1978), pages 11 to 21. 2. 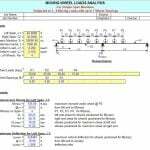 The “General Joist Analysis” worksheet on the joist span will handle a full length uniform load and up to eight (8) partial uniform, triangular, or trapezoidal loads, up to fifteen (15) point loads, and up to four (4) applied moments. 4. 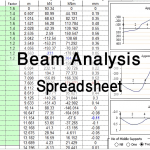 In the “General Joist Analysis” worksheet the user is given the ability to input two (2) specific locations from the left end of the joist to calculate the shear, moment, slope, deflection, as well as the stress ratios for shear and moment. This should be utilized when the maximum moment does not occur at the start or end of a segment. 5. In the “General Joist Analysis” worksheet, the plots of the shear and moment diagrams as well as the displayed tabulation of shear, moment, slope, and deflection are based on the joist span being divided up into fifty (50) equal segments with-one (51) points. 6. 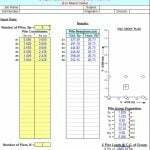 The “General Joist Analysis” worksheet will enable the user to either analyze an existing joist for new loads or determine the required total equivalent uniform load to be used to size a new joist. 7. The “General Joist Analysis” worksheet only analyzes the joist “as a whole” and does not perform checks on the individual components. 8. 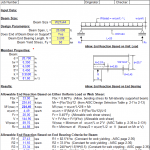 In the “General Joist Analysis” worksheet, the deflections calculated include a 15% increase above the values calculated using traditional “simple-beam” flexure to more closely match actual test results obtained by SJI. 9. 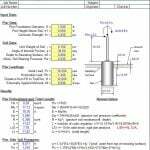 For the “K-Joist Analysis” and “LH-Joist Analysis” worksheets, the Steel Joist Institute (SJI) Standard Load Table as well the “Recommended Code of Standard Practice for Steel Joists and Joist Girders” are used. 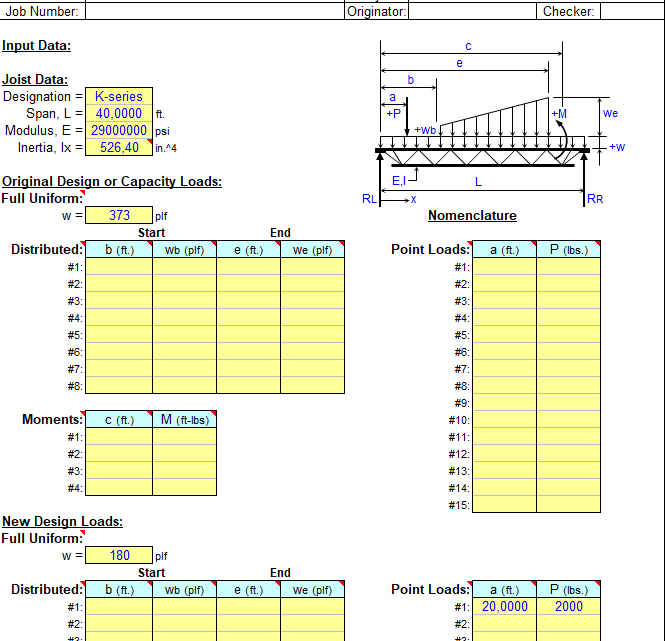 The Standard Load Tables are built into each of these two analysis worksheets. 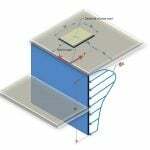 The two worksheets will evaluate a user selected joist size, as well as display up to a maximum of 15 of the lightest joist sizes that are satisfactory for the loading and deflection criteria specified by the user. The bridging requirements are also determined.